 Services, Fees & Appointments | Damian M.G. Elias, Ph.D. Individual: $225 per 55 minute session. Couples: $250 per 55 minute session. Group: $80 per person. Groups run for 90 minutes; 5-8 members. Psychotherapy supervision: $100 per 55 minute session. Rates vary, however the rate for a basic assessment battery consisting of a cognitive, projective, personality, and achievement test is $2000. If you are interested in specific tests please contact me for pricing information. I am considered an in-network provider for most Blue Cross Blue Shield and Aetna plans, however you should call the member number located on the back of your insurance card just to be certain before making an appointment. •Do I have mental health insurance benefits? •What is my deductible and has it been met? •How many sessions per year does my health insurance cover? •What is the coverage amount per therapy session? •Is approval required from my primary care physician? Cash, check, credit card, and PayPal. If you miss your scheduled therapy appointment and have not notified us of a cancellation 24 hours in advance, you will be charged a $75 fee. © 2019 Damian M.G. Elias, Ph.D.